The coastal California city of San Leandro is a popular location to settle down, with its diverse and many educational offerings, rich history, and crisp, clean parks for enjoying a day outdoors. Nature-lovers and families flock to the city to enjoy its beaches, community centers, and family-oriented parks and events. 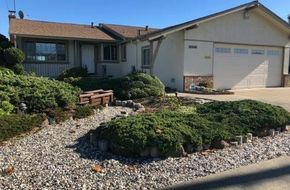 If you want a little sunshine in your life, combined with a warm and friendly, tight-knit community, you will have no problem finding it in San Leandro. San Leandro's Marina Faire neighborhood has a lot of the city's cutest apartments. MyNewPlace's apartment search can help you search for that unequaled Marina Faire apartment. You can learn about roommates, landlords and other apartment issues in Marina Faire as well as San Leandro's other neighborhoods in our apartment guide. Think this is the only San Leandro neighborhood for you? Check nearby neighborhoods below to see all your options. Want to start searching right away? Check out floor plans, photos, maps and videos on MyNewPlace! Best of luck in your search! 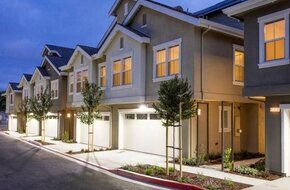 The apartments in Sheffield Village are tons of the prettiest in San Leandro. MyNewPlace's apartment search can help you find that spotless Sheffield Village apartment. San Leandro's Assumption Parish neighborhood has some of the city's nicest rental apartments, just use MyNewPlace to find the perfect one! Have specific needs or a limited budget? Click the search button above, then select the rent range and other amenities that meet your needs. You can get lots of answers to your Assumption Parish apartment questions by clicking through to floor plans, maps, photos and videos on each property's details page. Try San Leandro's Floresta Gardens / Bradrick neighborhood for many of the city's prettiest apartment rentals. Use our "Ask a Question" feature on this page to get answers about San Leandro's neighborhoods from our local experts! Best of luck in your search! The rental apartments in San Leandro's Heron Bay / Marina Vista are several of the cutest in the city - make sure to check out all the options listed on MyNewPlace! You can learn about roommates, landlords and other apartment issues in Heron Bay / Marina Vista as well as San Leandro's other neighborhoods in our apartment guide. Want to learn more before deciding if Heron Bay / Marina Vista is the neighborhood for you? Get started now. San Leandro's Old San Leandro neighborhood has lots of the city's best apartments. The MyNewPlace apartment search can help you find the perfect apartment rental that meets your budget constraints. San Leandro has a lot of great rentals and lots of the prettiest can be found in Farrelly Pond District, let MyNewPlace help you finally find that perfect bathroom you've been looking for. The MyNewPlace apartment search can help you locate the perfect apartment rental that meets your budget constraints. Looking for rental apartments in San Leandro's Central San Leandro / Industrial District neighborhood? Some of the city's most cost effective can be found here! The MyNewPlace apartment blog can help you not only learn about living in apartments in Central San Leandro / Industrial District but also other neighborhoods throughout San Leandro. Want to learn more about Central San Leandro / Industrial District? Look at MyNewPlace for local tips and insider information. San Leandro has lots of great apartments for rent and lots of the cutest can be found in the Washington Manor neighborhood. Have specific needs or a limited budget? Click the search button above, then select the rent range and other amenities that meet your needs. Want to start searching right away? Check out floor plans, photos, maps and videos on MyNewPlace! Best of luck in your search! 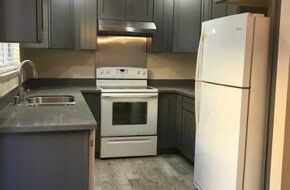 Some of the nicest rental apartments in San Leandro can be found in the Mulford Gardens neighborhood - let MyNewPlace help you finally find that perfect pantry you've been looking for. Looking for that perfect apartment but have a specific spending limit? No worries - our apartment finder will help you look for that impeccable Mulford Gardens apartment for rent that will meet your needs and fit your budget. Our apartment guide can also help you learn more about the in's and out's of apartment living. 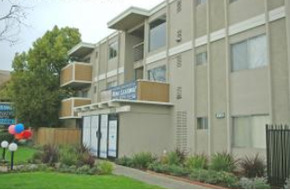 Mulford Gardens is a excellent neighborhood in which to find your new San Leandro apartment. Want to learn more about Mulford Gardens? Look at MyNewPlace for local tips and insider information. 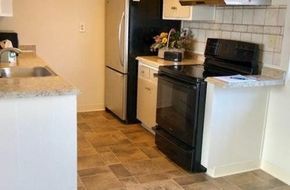 Bay O Vista has tons of the nicest apartment rentals in San Leandro and you will find this neighborhood full of friendly people and convenient amenities. Let MyNewPlace help you find that ideal apartment that meets both your needs and your budget. San Leandro has tons of great apartments and many of the most cost effective can be found in Bonaire, make sure to check out all the options listed on MyNewPlace! Our apartment blog can also help you learn more about the in's and out's of apartment living. 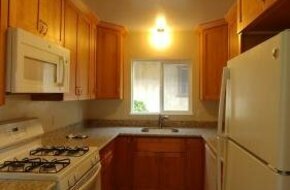 Bonaire is a wonderful neighborhood in which to find your new San Leandro apartment. Want to learn more about Bonaire? Read MyNewPlace for local tips and insider information. San Leandro has tons of great apartment rentals and tons of the nicest can be found in the Broadmoor District neighborhood. Let MyNewPlace help you search for that impeccable apartment that meets both your needs and your budget. San Leandro has several great rental apartments and many of the cutest can be found in Mission Bay Mobile Park, make sure to check out all the options listed on MyNewPlace! Let MyNewPlace help you locate that perfect apartment that meets both your needs and your budget. Want to start searching right away? Check out floor plans, photos, maps and videos on MyNewPlace! Best of luck in your search! The apartments for rent in San Leandro's Davis Tract West are some of the cutest in the city - that baby blue foyer (or whatever your dream interior looks like) is waiting for you on MyNewPlace! Looking for that perfect apartment but have a specific spending limit? No worries - our apartment finder will help you look for that ideal Davis Tract West apartment for rent that will meet your needs and fit your budget. You can also use our apartment blog to learn more about apartment living in general. 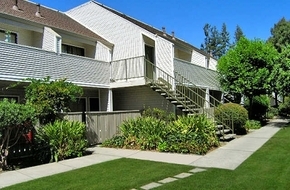 Davis Tract West is a perfect place in which to find your new San Leandro apartment. Want to learn more about Davis Tract West? Take a look at MyNewPlace for local tips and insider information. You can get many answers to your Davis Tract West apartment questions by clicking through to floor plans, maps, photos and videos on each property's details page. 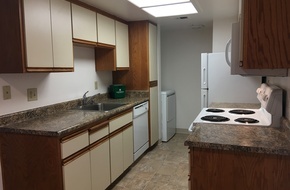 The apartments in Davis Tract East are some of the most cost effective in San Leandro, let MyNewPlace help you finally find that perfect pantry you've been looking for. Looking for that perfect apartment but have a specific spending limit? No worries - our apartment finder will help you search for that impeccable Davis Tract East apartment for rent that will meet your needs and fit your budget. 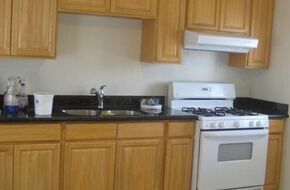 Laua Manor has some of the best apartment rentals in San Leandro. MyNewPlace's apartment search can help you find that unequaled Laua Manor apartment. Want to start searching right away? Check out floor plans, photos, maps and videos on MyNewPlace! Best of luck in your search! 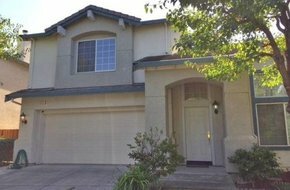 Try San Leandro's Estudillo Estates / Glen neighborhood for a lot of the city's cutest apartments for rent, that beautiful bedroom (or whatever your dream interior looks like) is waiting for you on MyNewPlace! MyNewPlace's apartment search can help you locate that unequaled Estudillo Estates / Glen apartment. Use our "Ask a Question" feature on this page to get answers about San Leandro's neighborhoods from our local experts! Best of luck in your search!